Massive Safari With 8 Biomes ! 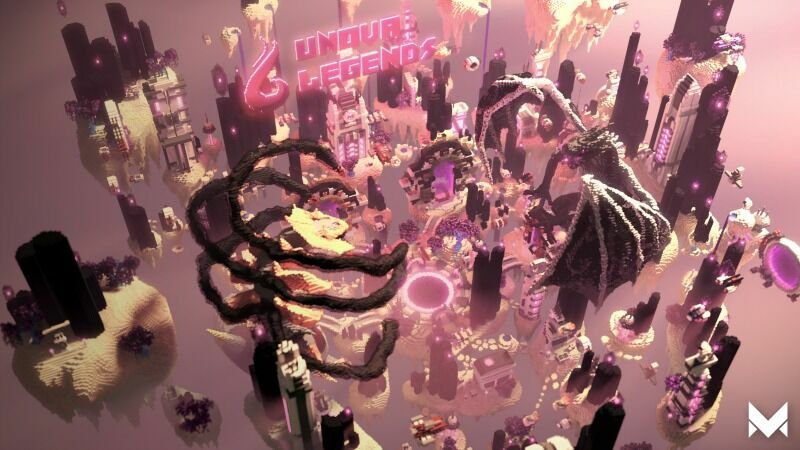 Unova Legends network is a small but growing community that provides fun and enjoyable gaming experience. Our main servers are pixelmon based but still have other server options to play on as well. Our Servers are open 24 /7 with players that are from all around the world. We also have new custom plugins that will enhance players playing experience. Have you ever wanted to know what happened if Pokemon evil teams finally took over regions? Well, our gym system is run based on evil pokemon teams to change up the battle system. Can you become the new supreme in the realm? ▶︎ Loads of fun with your friends! This server is really good 9.5 / 10. This server is really great and could not stop enjoying playing. It is a modded multiplayer server. I liked the community, it felt wholesome and the gameplay was enjoyable. The server has a bunch of opportunities for new players to learn and play with the pixelmon mod. Fun server, great community and many fun things to do. Looking forward to playing more on this server. This server is one of the best servers i have ever seen playing minecraft. The players and staff are so nice and polite. Most of the players and staff welcome you back when you get on the server! I like the gyms and how the gym leaders are actually players, I think it is harder like this because the players usually know what they are doing. This is my review on Unova Legends. I enjoy how the server has a nice spawn along with player based gyms. The plugins used are nice as well for the server along with the playerbase. Loving it so far! Enjoying the spawn rates and all the people on here. Its very enjoyable. My main problem with the server is just my personal luck, I love the community and I love how everyone will help you in any way shape or form they can. The staff actually take care of the server when it crashes, and the restarts are short. One of the best Pixelmon server I've seen in a while! Super friendly and helpful staff, same goes for the community, the map is great and it's a storybased server which makes it more awesome, the gym leaders are players and you can even apply to be one! Fun and friendly. Best Pixelmon yet! Thanks guys and keep up the hard work. I am enjoying how friendly everyone is here! It is easy to start out and fun to look for new pokemon! Loving the calm and clean atmosphere! I think this server is amazing. The community is very friendly and open. Also, I like how the server lets us focus on our pokemon and not hunger or other stuff. the only thing I would like more is if the /gts had more people putting stuff into it. This Server is the best pixelmon server with the best community. I really love this server. From the shiny starters to the gym battles, everything about this server is great. Even the community is amazing. I recommend this server to anyone who wants to play quality Pixelmon. Fantastic server! Can't wait for it to grow and grow! I recommend it to new pixelmon players and players who have played pixelmon for years!!!! Great server, friendly staff and players. Real slapper material tbh. super cool community You wouldnt want to miss out on the fun and action on this server. Great community, great staff, great owner, and pixelmon what more could you ever need? My experience so far on this server is a great one. I usually play very late while there's not many people on, but it gives you a good start to your Pixelmon journey and was a great way to get me used to Pixelmon Generations. This server is exactly what i would expect from any pixelmon server and more. It has a storyline, a good community, and a free roam. Best Pixelmon for 100% experience. i love this server and there is always things to do on it. Recommend it to alot of the public that are looking for a server to play on. I like the server and especially i like that you can hug cactusses without getting killed. I see that this is a new community/server and I would absolutely love to be part and watch this process run of this server taking off. I believe with what you have this will be a successful server. There's room for improvement but for being new all I ask. Listen to the community a lot and also always stay open minded to new and innovative ideas. This Server is very fun. I was surprise on how interactive it was with its community. The server is very active. Although there is a lot of rules, my least favorite is asking for free stuff, it is a very safe server. I can trust the staff for help and the items on this server are a lot cheaper on the market! Cheaper than any other server I encountered so far, and the pokegifts I found around my house have blessed me with a grass type pokemon and tornadus(: no other server had so much to offer! Most staff is extremely friendly, easy to talk and communicate with. They responds fast when people have questions and greets you whenever you join back. I highly recommend this server. I love how friendly the staff is, very helpful and reliable. Though I've been only playing for a day, starting off was a bit rough. I was lost and had no idea what to do till I asked someone. This server is amazing. I love it to pieces already, it has fun community, amazing starters, and its one of the few servers that actually have Gen 7. Amazing server. It is interesting server, people are nice and i like idea of fighting with team plasma. I had to rewrite this :’( it didn't post or at least I don’t see it where it should be..
like because naming the things I do will take to long. This review will also not be changed because I got banned for a few days I mostly agree with why I was banned, I also literally asked for it after allegedly telling a certain staff member to “st*u”. Some staff are a little douchey at times (No one will be named). Any sort of caps even if it is innocent and happy or a cry for help (of sorts) will be yelled at and nothing in the Rules said anything about caps until my brother told a staff member and he passed it on. If you question about someone's ban you will be banned which also isn't in the rules and is a stupid thing. As I said above you can be banned for things, not in the rules. Gyms have an insane amount of rules that are also mostly stupid. Sometimes I feel like the server is ruled like the Soviet government. This last thing isn't really a big deal, but there is no swearing allowed which is very annoying for someone like me whose only vocab is swearing almost consistently. I currently can’t think of anything else but other than these issues of mine I like this server so. I like it because you can play Pokemon/Pixelmon for a fun time, while also competing in the Clash of Teams. All in all, it is a WONDERFUL server, and I am glad to have found it. This server is awesome! The community is helpful and responsive and the gym leaders are actually players with lots of experience. The server provides fun and interesting events that keep the server fresh. This server is not pay-2-win like most pixelmon servers and it provides free kits and even ranks for it's members. While it is a great server it does have a few downsides, for example: there are not enough players on the server and it sometimes gets lonely. Amazing server, with great people and pokemon. This server is very cool. I've been wanting to play pixelmon for a while. After I saw that Purple Rodri play on this server, I've decided to play it. It is pretty cool. This server has pretty nice players and staff. Mostly they say "Welcome" or "Welcome Back (WB)" which is one of the thing I absolutely love about servers like this. This server should have a lot of players. Amazing community and such great staff! would welcome anyone to this server! Amazing, been there for past week and I already have more than 30 gameplay hours... It's just the best I've played!!! I''ve been playing for a day and i'm already having a blast. I like the fact there's a whole story behind the playtrough. The admins and mods are always super helpful to newcomers like me. Great community as well! The best pixelmon server out there. From the shiny starters to the gym battles, this server is just fascinating and very enjoyable. The staff there is also very nice and they will help you out whenever you need them to. I like the server because of the trivia and the word scrambling, its very enjoyable and easy to get used to. Honestly One of the best Pixelmon Servers I have ever found. Just alone with the friendly staff and great community it just makes the server very lively. Shiny starters are a decent feature, No /ivs allowed for normal players, /rtp is a 5 minute cooldown unless you obtain rank which doesn't require much, Anti-fall damage which is useful if you like to look away as you auto run, as well as multiple homesets to obtain the pokemon you wish to find. Overall perfect for the average pokemon player who disregards his own safety(hunger) to go catch pokemon. this server is amazing the community is good. One of the best servers out there! Would recommend. When I was looking for a pixelmon server I found uNova. This server is really fun to play and has very nice and active staff! Unlike other servers pokemon actually spawn and it's lag free. Me and my friends have enjoyed playing this server and love every second. Thanks for taking the time out of your day to read my review! Have a good day! Really great server, wonderful staff. I would definitely say this is one of the best. well, I only joined a few days ago but I already know that this is a great server! with friendly staff, great gyms and gymleaders and you can make friends in an instand! but, I think that the rules of the gyms could be simpler. I highly recommend any pixelmon player to join this server! Just reading these comments makes me want to join this server. It looks amazing from the reviews. Right? Wrong. These are mostly fake reviews as you get a free donator rank for writing a good review. Got a lot more to say about this server but indent that in your mind as you read these reviews and comments. You do not get a free donator rank for writing a good review. We give out free rank for people that write their honest opinion on the server which can be good or bad. Sorry, your experience may not have been the greatest, we hope you try it out once more. Unova Legends is a fun and friendly server. Between the staff and the players, you will hardly ever find someone that is being a nuisance or mean. When it comes to the actual map that players can traverse to conquer pokemon gyms and catch new pokemon, you can really tell that some serious thought and effort was put into it with the players in mind. Over all I would recommend if your into pokemon/pixelmon to play this server. I love the server! 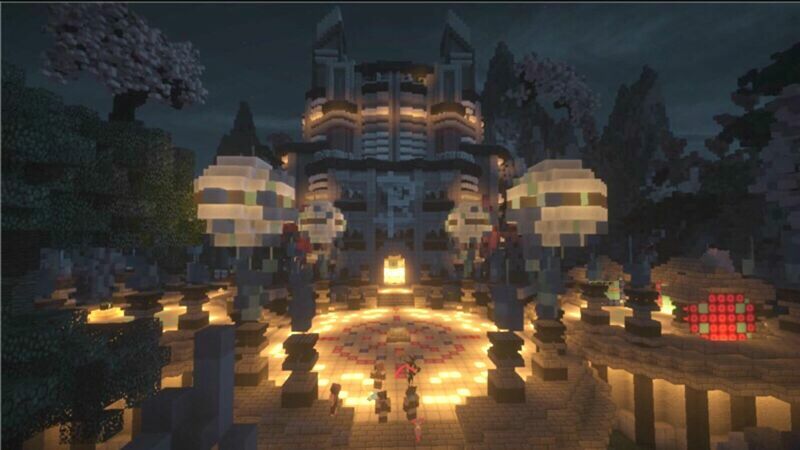 Theres not many servers for Pixelmon that's as good as this one! I have found an amazing well thought out server. This server meets and exceeds all expectations. I will be referring my friends to this server for sure! I love this server, started just a while ago and i am very into this server. When i started i thought all the servers would be the same but this server is amazing and i enjoy playing on it very much. The staff seem to be on a lot and everyone is nice! i love playing on the server as the staff and community are very welcoming and the map is huge meaning theres a lot to do. A very good server. I can tell it is worked hard on and has a great community. I wish all servers were like this one. I'm very happy on this server great staff good community good plugins and kits!.. This is probably one of the best Pixelmon servers I've ever played on. Helpful staff, nice community, and tons of unique features!! AMAZING COMMUNITY, STAFF ARE ACTIVE AND ITS CONSTANTLY GETTING BETTER AND BETTER! The server Unova Legends, has great staff, and a great community. It is a TON of fun to play on and I love to play it all the time. This server is awesome, come try it out! i think this server has great potential and i cant wait to record and post to my YouTube channel and get more and more people playing. This is probably the best Pixelmon server because you can always expect help from fellow trainers and from staff members. Great server, Love the progression and would recommend to all my friends, look forward to continue playing on this server! 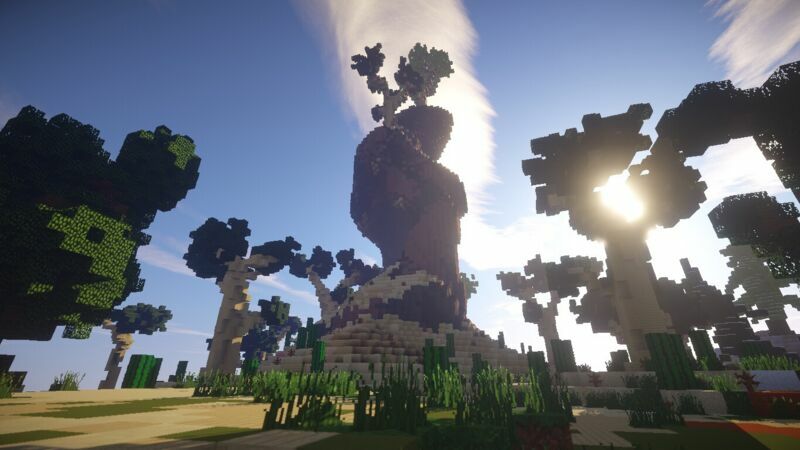 I enjoy this server MASSIVELY I highly recommend it to all players the great community, staff members, and uniquness keep me coming back over and over I look foward to times to come from this great server and community I hope all players of pixelmon get a chance to enjoy this server! Its the best server i seen in about a year. The staff are nice and they work hard to make the server a better place. Well, the server isn't laggy maybe you need to add more ram in your computer so your performance on the server is better. Great server with great staff! 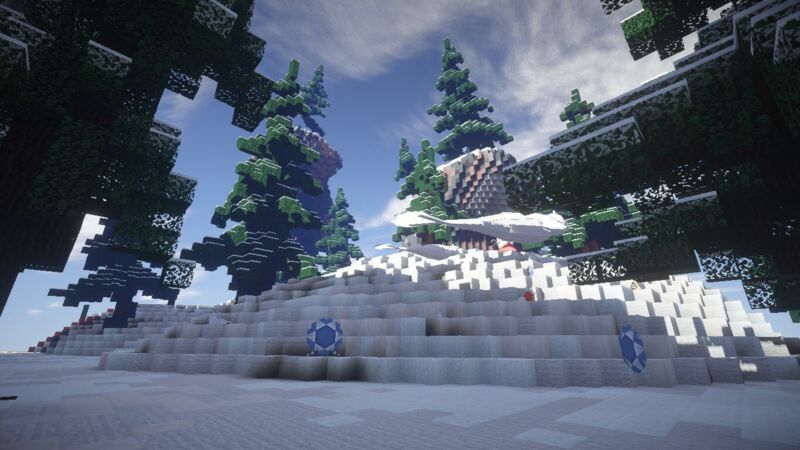 Staff on the server are very friendly, the server provides stress relief as well as being fun to play on. The server's commands allow for quick access rather than the slow start most Pixelmon servers provide. This server is one of the best servers i have ever played on and i love the staff and community. i hope that this server continues to grow and becomes one of the best servers of pixelmon! Awesome Community, one of the best i've ever played on. Amazing staff, they stick to the rules...but they still have fun. One of the most exciting and amazing pixelmon servers i've ever played on. everyone on the server is like a huge group of friends...and it's always alot of fun. Very open and welcoming server. No feeling of being better or worse than others. A server like this was my dream! They have friendly staff and community. The gym leaders are always up, the daily and monthly kits are great, really skilled gym leaders, custom events and many more things that a GOOD server needs, so stop searching for any other server and stop right here! But i feel like it should give people pheal cause its difficult to go back and heal like make them buy pheal to make it even more amazing. This server has a very nice community and staff are always willing to help and upbeat! I have only been on for a short while but i love how its being run. This server seems pretty good so far, a nice set up, shiny starters are really cool, a lot of nice things to really bring people in. Also that Pixelmon Dark Forum Link didn't work, may need fix. When I first joined this server everyone welcome me in. Everyone in the server are so respectful and welcoming. I would recommend this server to the players who are looking for a good pixelmon server. This server Unova Legends is easily one of the best pixelmon servers I have yet played on ever, everyone on the server is friendly, and is very kind towards you if you are new to the server or have a question about anything. Shiny starters, plenty of gyms, and fantastic staff members! I recommend joining now! This server is very good, it stuff it has was done very well, overall this server is a good server. This server is easily one of the best I've played on especially the gym system is a lot better then other servers. This server is amazing. the positive community and the friends I've met. I was an amazing feeling when I join back and everyone on the server type WB (welcome back) or join for the first time and everyone types welcome. every time I join this server it puts a smile on my face. would recommend to all ages. I just started the server and It looks pretty good , The staff are also nice and Im really excited to start. I have the worst experience On the server! I saw people are getting kicked and banned by the staff.. If i were you Dont join this server.. Just log on and Bam! People are getting kick by one small mistake that they never knew! No no to this server! I really enjoy playing on this server! The community is very friendly and the play style is creative. I also admire the fact that the gyms are difficult to beat, it makes it feel like a great win once you defeat them! This server has a very active and fun staff. They have fun community challenges between teams. You can create teams and win for big prizes. They have a very great human run gyms. They have a great map made by very great builders. Their build are magnificent. Also they have a story line in which you need to beat the gyms. I don't want to spoil it, so hope on and get in on the action. they also have daily and monthly kits. It is a small community but a great one and growing. Horrible staff.. Some staff yells at you even though you didnt do anything. no greetings and makes you wait on gym battle for to long even though they said they'll be there for a minute takes like 1 hour to battle. Horrible! and some helpers just ignore you as well if you have a question. I am so sorry your experience on our server wasn't great, I would like to know who was giving you these bad experiences as this isn't what my server stand for. We are a community that is super helpful and greets everyone that enters, I hope you reconsider coming back and try our server out again. If you like to contact me the owner Queenvixen so I can give you a gift for your return, take care hope to hear from you soon! Loving it so far, neat intro and all. Plugins are absolutely amazing. Though one thing is, most players may not know how to get in the servers.... there really is no specific guide for all that. Either way, great job to the Unova Legends team! Great server, story, quest, shiny starters. I actually really like this server and encourage everyone to join if they are trying to decide to. Server has a great and friendly community. It's easy to play on! Awesome server with friendly staff and gym leaders that act perfectly. By far my favorite pixelmon server! Great Staff, almost never see the gyms empty and a great community. Would recommend playing if you like pixelmon. I really enjoy playing on this server and its really fun. I am playing with my best friend and 10/10 would recommend. Even though I am new to the server I can tell that I am going to have fun. This is a very creative server that keeps me thinking about at night. This server is super fun. I love the gym system, and how it feels like a real Pokemon game with all the routes and stuff, I would really like a better way to get more exp on your pokemon though. Overall I really love this server, and you should join! Starting out is far easier on this server then the others that make important items far more complicated to collect and leveling your team a lot harder. I love this server because it has a proper story line and player controlled gyms! I love Unova its the best pokemon dark server I know! I love your server I like the shiny starter and the gym system it is fun to play and it is fun to be serious. keep up the good work. This server is amazing. Firstly, they added routes - this makes the game feel so real and great! Also there are shiny starters which is amazingly epic!! I'll definitely recommend this to a friend! 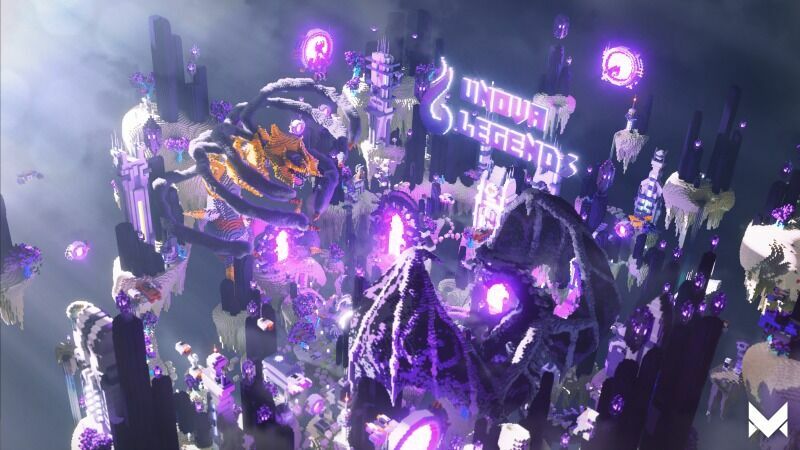 Unova Legends is the the best (in my opinion) and my favorite pixelmon server, it is very unique with shiny starters, it has a good rpgmmo feel, and plenty of gyms. This server is amazing. the staff is nice I love the fact that the gym leaders give you advice. This server should continue in the direction there headed in. This server is awesome and everyone is super nice! The server is great.The staff are nice and the server is fun to play on. This is the best server i have come across in years it is truly amazing i can't wait ti experience it all again! This server is great. moderators are nice. Love how its based on actual pokemon. Great server, the Best Community you will ever see, everyone is super nice. In this server is more then you think there is. its just awesome. i really look forward to play this game more! This an amazing server and especially great if you're a new to pixelon I would recommend this to anyone that is looking for a great community and great staff. Great server, friendly staff and players. You wouldnt want to miss out on the fun and action on this server. No lag and its always up to date so you can play the newest pixelmon. Amazing server! Has a greate community and the staff is super nice. The only problem is that a few players claim the areas around new players' claims just for money. This server is the best server I've ever encountered. They are the most appreciative helpful people and has the best community ever. The market is the best I have encountered on pixelmon and the spawn rates are as fair as they can get. The owner is very kind and will do anything to help you. I could not and would not find a better server then this. This server is great. It has shiny starters. plenty of content, drop parties, and events. I greatly recommend joining this server. The server is nice and friendly and there are a lot of things to do. This is very fun and the staff is very nice to new players! There is something you can add to make it more fun! And that could be /rtp that makes the person typing the command teleporting to a random location instead of going to warps where other people have been instead you could maybe come to a whole new place where you can start your adventure! Thank you for keeping up the good server!! Wonderfull server with amazing staff. great sever friendly staff u should join for manny of reasons and shiny starters !!!! This server is amazing! i love it soooo much i will play on it everyday it is so awesome! i reccomend everyone to play on it! This server is the most fun I have had on pixelmon since I started playing. Definitely play it. I like this server.They have friendly staffs wonderful rewards for voting and free shiny starter i highly recommend this server. So far it's good, friendly people, just wish I can spend more time on the server! Have you not joined UnovaLegends? Wait, why not?! Oh, I see. Still even if you lose a bit of hunger, you should join. UnovaLegends has the greatest community! Really, I'm not joking. Join! This server is very fun and very active. At first you think ,like all servers you join, that it will be a slow build on people talking and stuff, but I join and within 20mins i was active in the chat and people are active back. Staff is amazing. Owner is funny and sweet. This server is one of the best ive been on. Some helpers aren't very helpful and we are named as defaults if we aren't staff and the Owner said that in open. Well I don't call players defaults ,which that statement isn't true, we actually call you by your minecraft name. I will say all of the staff are super helpful and friendly. We do our best to provide every player any help they need. I truly feel like you should give the server a chance to prove you wrong. I don't understand where this is coming from but I am sorry for your experience . I love this server a lot because the way they welcome the players and greeting one another.. the builds and the gyms are great. good staff and worth of going on this server.. ill give this server 5/5 star. everything is perfect here! if I were you guys hop on and play with me :D let's make a team! The server is by far the most under-rated pixelmon server around. The staff is a well-round group of people, the gyms are well maintained, and the fact that the safari is now available allows new players to catch their first pokemon there, although it maybe at a higher level. Excellent server and excellent staff. The server although new offers many opportunities to pixelmon players. They do have room for improvement but other wise a server with great potential. This server is so fun, and amazing. I have went to many servers, and got so bored with them quickly. This server is new, but it is plenty of fun. If you ever get tired of pixelmon you can go do some bending. This server has a lot of warps, and is really fun. The owner is amazing, and so is the staff. They are all nice, and friendly. I hope this server can last a very long time, and become more, and more active. TERRIBLE SERVER!!!!! PIXELMON IS ON CRAPPY 1.7.10!!!!! I LIKE 1.10!!!! !